Diana obtained her Ph.D. at the University of New South Wales in Sydney, Australia, and her M.S.W. degree at the University of Toronto. Diana is a practicing clinical social worker with 20+ years of experience, and she has been a board member of the local chapter of the Ontario Association of Social Workers since 2005. At Laurentian University (LU), she is a core member of the research group ECHO - Evaluating Children's Health Outcomes. She is also the SSHRC Leader for LU. Diana's research investigates the effectiveness of arts-based mindfulness group work for the improvement of resilience and self-concept particularly in marginalized children and youth. The 12-week arts-based mindfulness group program she and her team have developed is called Holistic Arts-Based Program (HAP). In September 2016, she began a new 3-year project (funded by the SSHRC) facilitating HAP with youth aged 11-17 years old who are experiencing challenges with schooling. HAP helps youth improve their mood and self-esteem, and develop better coping skills and relationships through the enjoyable experience of creative group work. 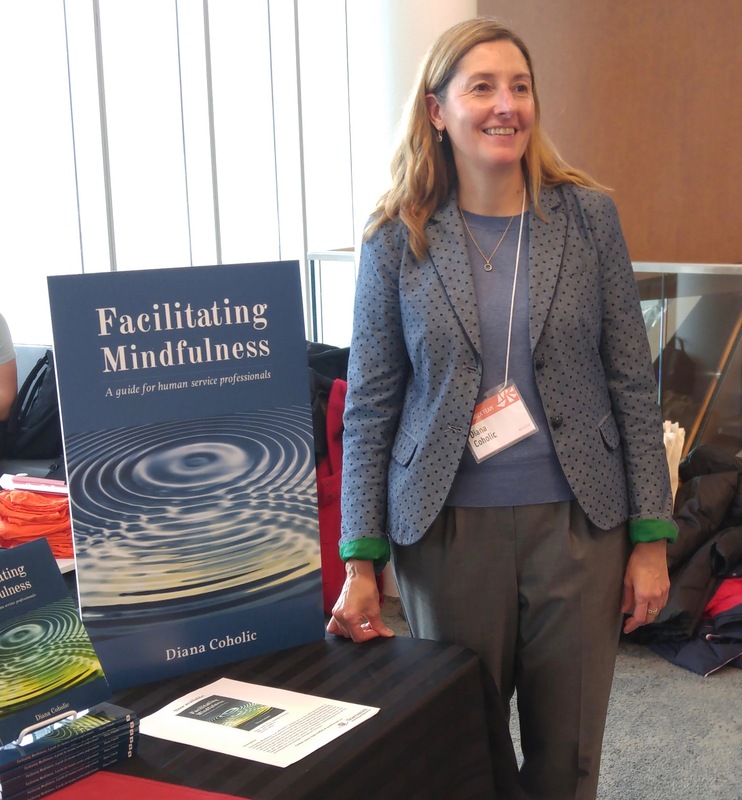 A session by session ouline of HAP can be found in Diana's new book: Facilitating Mindfulness: A Guide for Human Service Professionals. More information ( including videos) can be found on her research website: www.dianacoholic.com. Diana's current research investigates the effectiveness of arts-based/mindfulness-based group work. Her research interests include group work, holistic practices, and strengths-based approaches. Diana has supervised graduate students in the areas of mindfulness, arts-based group work, Aboriginal girls and resilience, various social work practices, vicarious trauma, gender, and mental health.